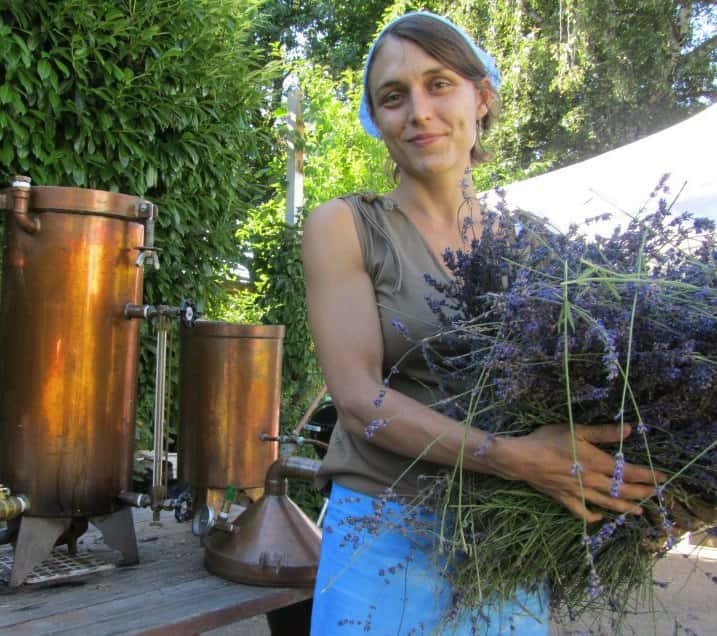 Jessica Ring is a natural perfumer, distiller, farmer, and NW naturalist writer. Her work revolves around the use of aromatics and stories to connect people with nature. Jessica runs a small distillery and natural perfume house in Portland Oregon. For the last 12 years she has used a variety of stills and methods to extracts aromatic essential oils from local plants, which are then offered to patients and customers for healing. The healing of trauma with natural fragrance is a theme that is embedded in all of her work as she seeks to bring awareness to the vastly untapped storehouse of healing that lies in combining aromatics with creative mindfulness practices. The fusion of lab work, with earth-based medicine has her set in a perfect niche where she practices her perfume alchemy with unending curiosity and joy. Her love of perfume is trumped only by her love of her community and family, and the forests from which she draws her spirits.